I seriously can NOT stop myself! 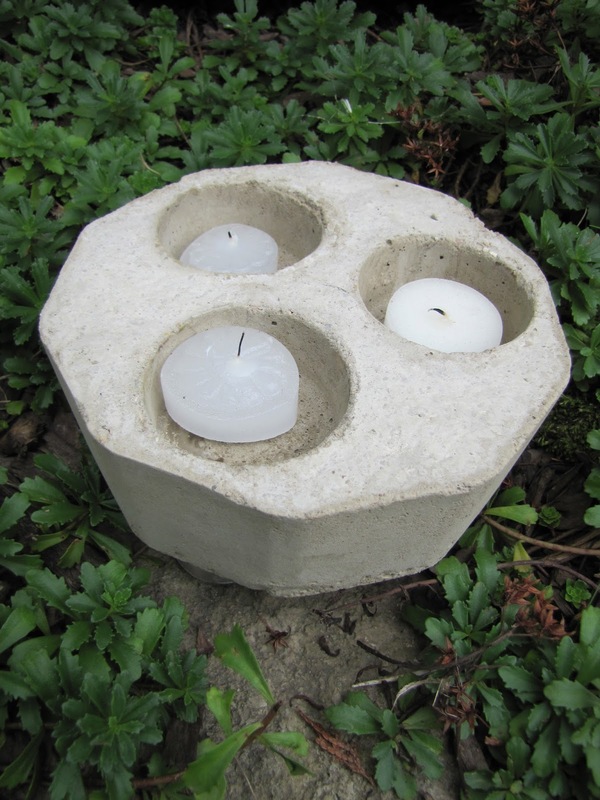 I am totally hooked on making things out of cement. Look at the new candle holder I made. It is just a larger container with three little openings for the candles. I love it and it puts off a great amount of light! Then I made a bunch more of these candle holders to give as teachers gifts this year. So once I started thinking about the holidays...this happened!